$1326.19 A Teen's First Rig. 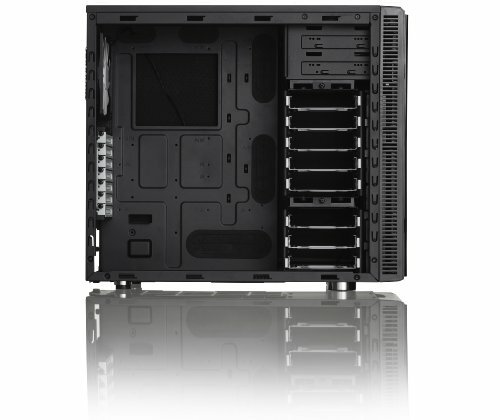 The R4 is quite easy to build in and offers quite a bit of variation when it comes to cooling. Would recommend this case to anyone who wants a quiet. good looking case. Super easy to use for building a simple build! Can't wait to see how it is when I water cool. The Define R4 has set my standards for what a case should be. Even if the points I'm about to make will be mostly subjective, I'm confident that my enthusiasm about this case will be shared by many others. To start, the aesthetic appeal and overall design of the case is fantastic. The windowed side panel does the case great justice, adding flare that isn't so overtly trying to impress an audience, but does give a great glimpse into the interior of a machine. 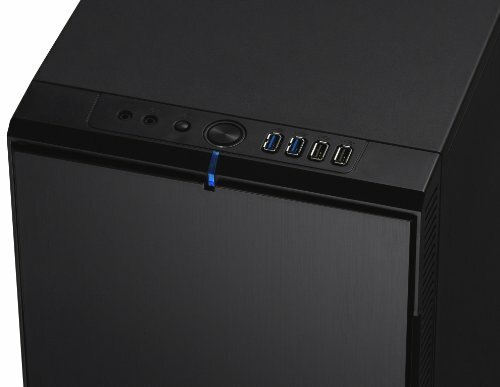 In addition, the front swiveling door of the case gets a great treatment of features, with baseline ports such as USB 3.0, headphone, microphone, and power/reset button sitting well-positioned at the top. The insides of the case let the user take full advantage of the possibility of cable management (as they rightfully ought to), by giving a good inch of room on the windowless panel side. There are plenty of loops to help pin down and fasten cables to, and the breaches are positioned well so that plugs and ports can reach anywhere while still being hidden by the left-side panel. It features a fan-controller of the front, able to fasten itself onto three fans at most, a feature that is well-appreciated if you don't want your system to handle it for you. A great case overall. If I would have any complaints, it would be that it was larger than I expected, but that isn't necessarily a full downside either. 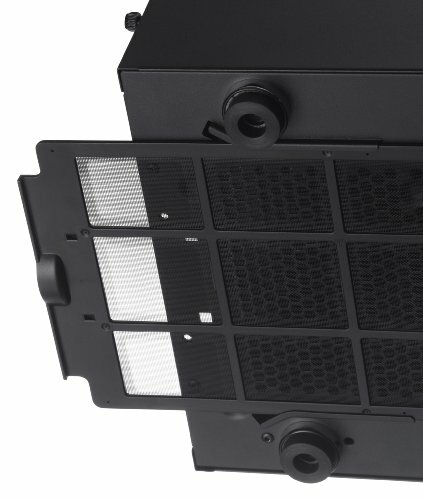 With the choice of removing top panels for more vents, and the option to completely remove the drive cages altogether, airflow is great in this case and will help in maintaining temperatures. Nearly every part of this case was well-thought out, and will guarantee that with proper planning, cable management can be done well, and airflow will be kept quite well in this case, all while looking fantastically simple. Still better than fractal design R5 for me because of price. Has dust filters and they are easily removed for cleaning. You can put cable in the back for better management. I wish it was less heavy because I have wimpy arms. Extremely good looking case. A bit dated now, but reliable, solid, and -SILENT-. Easy to work in and looks great. My only grievances are fixed with the R5 (which didn't exist when i bought this). But they would be; 1. easier mounting of SSDs behind the mobo. (you have to remove the mobo to mount them) and 2. the Power LED was blue and the brightness level of the surface of the sun. Which is why I bought the new LED. Excellent case, surprised how big it is, love the window and it has great circulation, I also really like the front panel which is easy to remove for cleaning.